Our goal is to connect people with the best local experts. 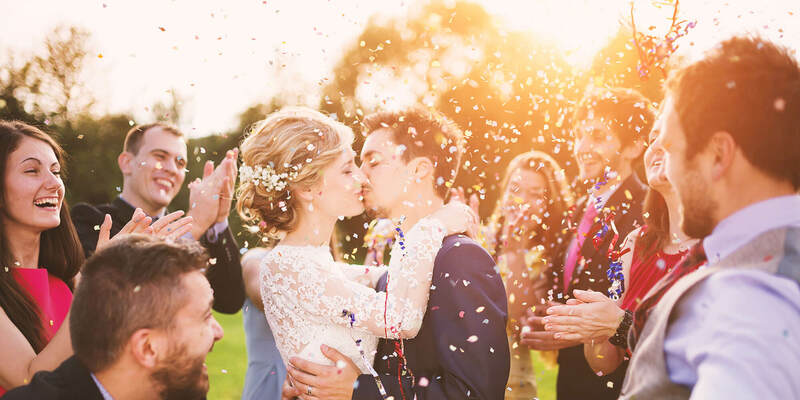 We scored wedding photographers on more than 25 variables across five categories, and analysed the results to give you a hand-picked list of the best wedding photographers in Henderson, NV. Chiemi Photography is the Las Vegas-based business of Chiemi McGhie, who has more than 10 years of experience as a wedding photographer. She strives to capture this special day for her clients with the utmost care and attention to detail. All weddings are priced hourly at $300 for the first hour and $225 for each additional hour; all bookings include digital files with a copyright release for reprints. Albums and prints are also available separately. Chiemi Photography has earned five-star overall client ratings on both Yelp and Wedding Wire, as well as four out of five stars at The Knot. Reviews say she is responsive, prompt, and efficient. fotomgmt & Co. is a photography company in Las Vegas, Nevada. They are expert in journalistic wedding, engagement, fashion editorial, portrait, family, graduation, lifestyle, candid, events, tradeshows, corporate, and more. They specialize in wedding photography. Their investments include the wedding investment, wedding a la carte, elopement wedding package, engagement investment, and misc. investment. The wedding packages they offer include mini package, basic package, standard package, economical package, and the works. All their wedding packages include pre-wedding consult session with a photographer, unlimited captures/rights, digital download with printing release, personal online password protected gallery, and travel fee included only in Southern Nevada area. fotomgmt & Co. captures all the photos in a unique way. fotomgmt & Co. has been featured in Women's Day Magazine. James Westray is a wedding photographer based in Las Vegas, Nevada. His approach is focused on honestly capturing the celebration of the moment, rather than controlling a photo shoot. Emphasizing a relaxed and friendly relationship between the client and the photographer, Westray understands the importance of collaboration beyond simply taking photos. Given the emotional and close nature of a wedding, he believes the photographer should be someone you resonate with, as well as share interests, passions and values. Westray is available to shoot any wedding worldwide but offers premiums for Southwestern locations such as Southern California, Arizona, and Utah. A portfolio of his work can be found on his website. Jamie Y. Photography of Las Vegas, Nevada specializes in offbeat, quirky, and just plain fun methods of recording images of clients’ amazing adventures for posterity. Worldwide traveler and photographer, Jamie Y. can help families of all backgrounds rock any style of photography from candid shots to formal or classical images. Weddings, elopements, trash-the-dress, graduations, or engagements--all are events handled by Jamie with vision and expert direction, making it easy for clients to feel confident in their final products. Co-hosting workshops or posing babies for photo sessions keeps Jamie busy when not plotting rock and roll wedding shoots or gadding about at local iconic stage settings like the Neon Museum or trailing about the desert at dawn. Limelight Photography is a photography company in Las Vegas, Nevada. Their photographer has been in the industry since 1998. Their services include commercial, conventions and PR, and weddings. Limelight Photography specializes in wedding photography, offering packages such as the “Spotlight," the “Twilight," and the “Starlight." The “Spotlight” wedding package includes two hours of coverage, 90-day personal online gallery, and professionally retouched images on a high-resolution disc. The “Twilight” wedding package includes 3 hours of coverage, 90-day personal online gallery, and professionally retouched images on a high-resolution disc. The “Starlight” wedding package comes with 4 hours of coverage, a 90-day personal online gallery, and professionally retouched images on a high-resolution disc. M Place Productions is a boutique photography and cinematography company in Henderson, Nevada, specializing in wedding and engagement photography. They love capturing the entire wedding experience from the candid moments to the smallest details. M Place Productions will create wedding reels which show the beautiful moments of the couples. They offer wedding videographer packages and provide the best of traditional wedding videography and modern wedding cinematography. Their photography packages include the starting collection, standard collection, and luxury collection. Their starting collection includes 1 photographer, 4-hour session, and print credit. The owner of the company, Matthew keeps their focus on training and quality. Moxie Studio Photography and Cinema is a photography company in Las Vegas, Nevada, founded in 2010. Their operating hours are Mondays through Fridays, from 10:00 AM to 6:00 PM. Their photographers are Jamison and Lisa Derfler, a married couple. They specialize in wedding photography and wedding cinematography. They create beautiful cinematic films. They offer wedding photography packages such as Package A, Package B, Package C, Package D, and Package E. Package A, which is their most affordable package, lasts for 4 Hours. Moxie Studio Photography and Cinema has earned 5 stars on Yelp. Posh Photography is a photography company in Henderson, Nevada. They offer outdoor and studio sessions, specializing in maternity photography, newborn photography, child photography, smash cake photography, toddler photography, tween photography, and more. Posh Photography is also an expert in engagement photography, wedding photography, and grow with me photography. Their wedding sessions can last for 3 hours, 6 hours, or all day. Their clients can pay a retainer fee to hold a spot. Posh Photography creates snapshots of a love story that is told with creativity and passion. They offer custom photography, delivering safety, creativity, love, and execution in every session. Posh Photography does not have any time limit for their newborn sessions. Based in Las Vegas, TS Photo provides professional wedding, portrait, event, travel, landscape, and commercial photography services. Founder Taku Sanada loves to capture his clients' golden memories that will last a lifetime. Clients who are interested in Sanada's work can contact him for a quote using a convenient online form. Photo packages start at $440 for a two-hour session with ten digital images. Clients who book a wedding package receive a discount on an engagement session. TS Photo has earned a perfect overall five-star customer rating on Wedding Wire. Clients say Sanada is talented, professional, friendly, and has a great sense of humor. Joey Allen owns and operates Vegas Photo and specializes in wedding and engagement photography in Las Vegas, Henderson, and Boulder City. Mr. Allen has been a professional wedding photographer since 2008 and strives to capture personalities and emotions in each picture to showcase the essence of each person and event. He prefers to work with natural lighting when it is available but can also help customers who would like to use off-camera lighting or a nighttime setting. Potential clients can peruse the company’s portfolios to find a quality and style which work for them. Vegas Photo offers several pre-made wedding packages with flat, fixed rates but mainly works on an hourly basis. Each package comes with a predetermined photo shoot length and includes the retouching of the pictures afterward. Located in Boulder City, Nevada fifteen minutes from the Galleria Mall, Vegas Valley Photography is a professional photography studio that serves clients in the surrounding metropolitan area. Featuring the work of professional photographer Jennifer Bratton, Vegas Valley Photography offers its clients such services as wedding photography coverage, maternity and newborn photo shoots, boudoir sessions, lifestyle portraiture, family photo sessions, professional headshots, commercial photography work, and high school senior portraiture. Full-day portrait sessions with the company start at $500, while wedding coverage starts at the same price for brief coverage and can be as much as $2500 for total coverage and amenities. Yev Z Photography gives customers the service and professionalism they expect from a high-end studio along with a bold, international, editorial style that turns photographs into stories of adventure, romance, and magic. The photographer has earned a reputation as the premier professional for customers who want to capture their wedding or engagement with a unique, magazine-quality feel. Whether customers are planning a romantic vineyard wedding or prefer the traditional formality of a church, the photographer has the skills to make any venue look like a wonderland. Customers can find image galleries on the photographer’s website and enjoy an extensive range of wedding and engagement portraits, professional head shots, and artistic personal photography, and call or send a message to request information about pricing and scheduling.